M-Blog 2018 English – Maestrelli s.r.l. MAESTRELLI is one of the leading producers in the dry-cleaning sector. The business has sold more than 40.000 machines to their major clients anywhere in the world, from Europe to Middle-East, and from South-East Asia to the Americas. The company was also the first Italian machines producer ever: founded in 1935, during all these years of successful activity, Maestrelli built and consolidated its reputation in almost every country. Furthermore, the innovations introduced by the business have been countless, e.g. front loading, electrical machines and a self-cleaning filter. Maestrelli is widely known for its high-quality standards, the cutting-edge technology, and last but not least, the solidity of its machines reaching a top-level position in the worldwide market. The company has always been capable of growing and renovating itself, adding to its core business of dry-cleaning machines a wide range of products that goes from washing machines and dryers (also available in the closed circuit version) to barrier washer extractors (the hospitality sector), hydro-extractors, hygienising cabinets and ironing equipment. 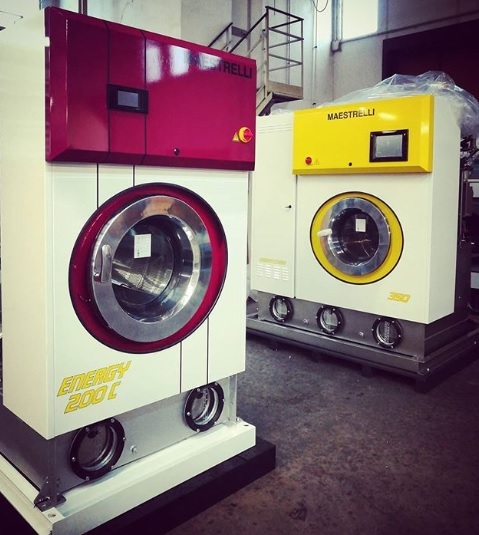 Today, Maestrelli can confidently assert to be a major and reliable representative of anyone who wants to create a modern and high-end laundry.